November | 2014 | Mothers Against Wind Turbines Inc. 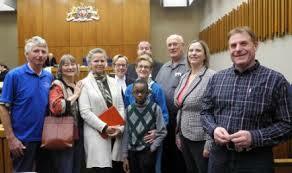 The Canadian Charter of Rights Constitutional court case re industrial wind turbines was heard in London Divisional Court last week from Monday – Thursday. (was extended into Thursday) A panel of 3 judges heard the case and indicated they need to take enough time on the decision to ensure due diligence. There were no references to decision timelines on the appeal. The decision on the “stay” request of stopping the projects until a decision is made might possibly be sooner as the judge asked when the turbine blades would start turning and the answer was that turbine testing would begin in January. The Coalition Against Industrial Wind Turbines (CAIWT) lawyer, Richard Macklin, was allowed 15 minutes for his oral presentation in support of the appeal on Monday but no decision was made on whether the coalition would be allowed as intervenors so that decision will come out with the final decision. The coalition argued that various procedures in the Renewable Energy Approvals and the Environmental Review Tribunal appeal process are unconstitutional because they do not protect the health of the community. Some issues presented were: the Director issues wind project approvals without considering health; appeals must be heard and the decision out in 6 months which is a very short a time to hear all the evidence on a serious issue; adjournments are sparingly granted (none granted here); the bar is set too high when we have to prove that the project will cause serious harm to human health; the onus is on those appealing that the project will cause serious harm; and community groups do not have the resources for these appeals whereas the opponents are well resourced. Despite the importance of the issues in these appeals, no group in the coalition can afford to hire counsel on its own, hence the coalition. The coalition also shows that not just people living in the project areas of this appeal are affected but communities all over rural Ontario are being affected. So in the meantime, we wait for the decision. Whoever wins, there will likely be an appeal to the Supreme Court. Dates Set for Appeal of NRWC Wind Project by MAWT. As you may be aware, Mothers Against Wind Turbines Inc. filed an appeal in response to the approval of the Niagara Region Wind Corporation. Please see attached notice and take note of dates. We will be counting on your support. The people of Ontario have been waiting for more than two years for Health Canada’s report on itsWind Turbine Noise and Health Study. On November 6, 2014, a summary of the results were released but still, no report is available or published. Similarly, no article has yet been published and the data and analysis are also not available. Higher research standards are expected for the $2.1-million, publiclyfunded study that is completed for Health Canada by Healthy Environments and Consumer Safety, the regulatory body. It is our view that the issues of process are important as, on the surface, the Health Canada summary eport appears to provide contradictory results. 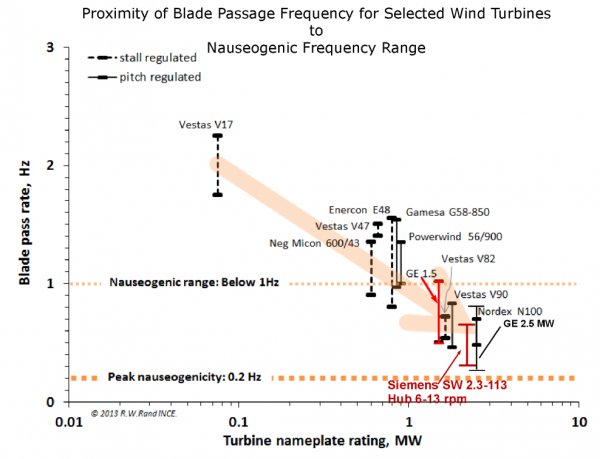 In some parts of the study results, it is claimed that no association between wind turbine noise and health effects were found. However, in other parts, high evels of annoyance were significantly linked statistically to wind turbine noises, with this annoyance then being linked to health effects. The following report summarizes the conclusions that this panel has reached, based on the available information. This week, the town of Caitlin, south of Watkins Glen, got cold feet over a proposal to build a wind farm. 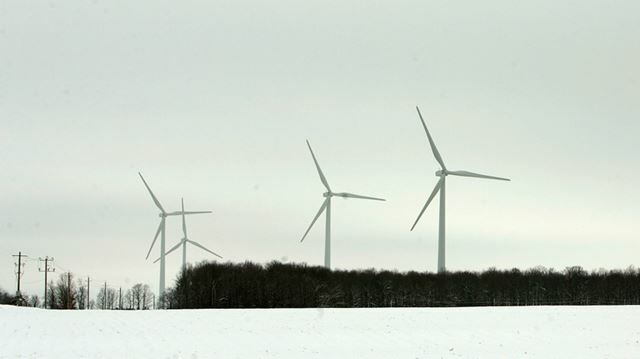 The town board was poised to pass a local law that would open the door for a Florida company to build a wind-driven electrical generation facility in this sparsely populated, mostly agricultural Chemung County area. The company has 30 leases already signed by landowners allowing for placement of an undetermined number of wind turbines. But the town reversed course and now has asked its attorney to draft a law to ban such wind farms. This sudden political wind shift has its roots in local citizen opposition based on concerns about noise, visual blight and environmental issues. It also springs from fears the state could usurp town authority to set conditions on the wind farm — conditions that might be far less stringent than what town officials would require. But at the bottom of it all is a sense of unease — shared by many Finger Lakes residents — over any project that seems, well, just way too big, too complicated or too difficult to control. Wind power facilities, landfills, casinos, hog farms, or liquid propane gas storage — take your pick. It seems like very little proposed development is set to a scale that would seem reasonable, appropriate or often even controllable. This is public and can be shared and redistributed. Brown County Citizens for Responsible Wind Energy (BCCRWE) has issued a press release regarding this Human Health Hazard declaration, which can be seen at: http://bccrwe.com/index.php/8-news/16-duke-energy-s-shirley-wind-declared-human-health-hazard BCCRWE is requesting your words of support for this action. We know that things we cannot see, touch, taste, or smell can hurtus, so why is it unreasonable also to believe that what we can’t hear might also hurt us? Cross-section of the cochlea (left), with illustration of IHCs and OHCs (right). Used by permission of Alec Salt, Washington University School of Medicine. Richard James is an acoustical consultant with over 40 years of experience in industrial noise measurement and control. He served as an adjunct instructor in Michigan State University’s Department of Communicative Sciences and Disorders from 1985-2013 and currently serves as an adjunct professor in Central Michigan University’s Department of Communication Disorders. The provincial Ministry of Energy will launch an investigation into reports that an 18-inch chunk of a wind turbine blade came loose and flew some 400 feet before landing in a field in the former Howard Twp. Chatham-Kent-Essex MPP Rick Nicholls raised the matter during question period Wednesday at Queen’s Park, calling it a significant safety issue that must be addressed immediately. “Will your government do the do the right thing and put a moratorium on turbine developments until there is a thorough review of safety standards pertaining to industrial wind turbines,” he asked Premier Kathleen Wynne. Energy Minister Bob Chiarellli said he was unaware of the problem but will raise the issue with his staff as well as those at the ministries of environment and climate change.